Callcott Street is a small street between Uxbridge Street and Hillgate Place. The area itself is sometimes known as ‘Hillgate Village’. The houses are small terraced Victorian houses one two floors plus basements, and are painted in a multitude of colours from dark blue to light green. The street is tree-lined and has a village feel to it. At the end of the street is a small old-fashioned neighbourhood pub called the Uxbridge Arms. It was part of the estate known as The Racks. Then William Johnson and Joseph Clutterbuck began turning what had been a brickfield into a residential area. Clutterbuck died in about 1851 having made a start on development, using other builders to carry out the work. William Johnson continued selling off plots. Over 200 houses were built in the following decade, with a large number of individual builders constructing a few houses each. Clutterbuck, or builders appointed by him, were responsible for the construction of houses in Calcott Street (formerly William Street). Facebook group, covering the history of W10 and W11. Notting Hill Gate tube station is a London Underground station on the Central Line. Notting Hill Gate is home to a variety of stores, restaurants, cafés and estate agents as well as more specialist stores which include rare records and antiques, as well as two historic cinemas, the Coronet (originally opened as a theatre in 1898) and The Gate, as well as also several bars and clubs. Much of the street was redeveloped in the 1950s with two large tower blocks being erected on the north and south sides of the street. 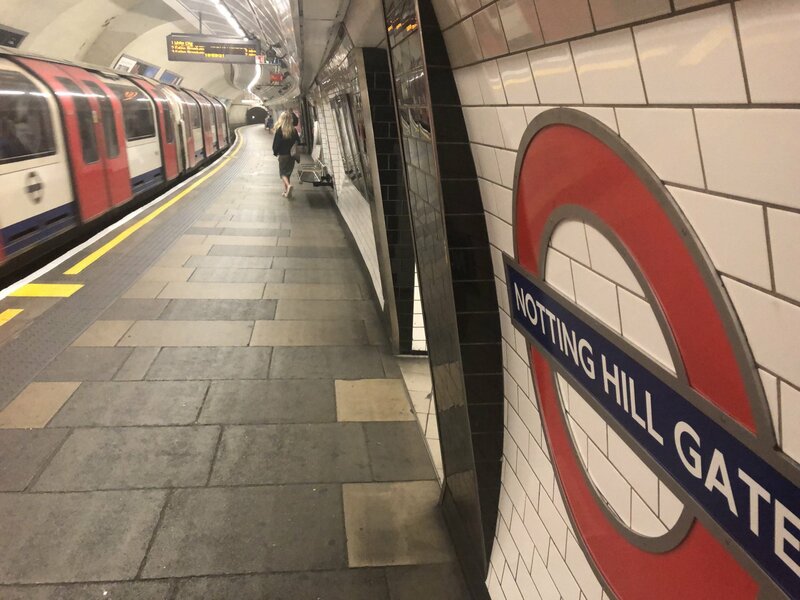 The sub-surface Circle and District line Notting Hill Gate station platforms were opened on 1 October 1868 by the Metropolitan Railway as part of its extension from Paddington to Gloucester Road. The Central line platforms were opened on 30 July 1900 by the Central London Railway. Entrances to the two sets of platforms were originally via separate station buildings on opposite sides of the road and access to the CLR platforms was originally via lifts.